Helge Scherlund's eLearning News: Competency-based education is all the rage: What is it? Competency-based education is all the rage: What is it? "If you've paid any attention to higher education the past couple of years, odds are you've heard the term "competency-based education," or CBE." according to Kimberly K. Estep, Ph.D., chancellor of WGU Tennessee. Photo: Dr. Kimberly Estep gives a presentation on WGU Tennessee. Hailed by corporate executives, global foundation presidents and our nation's foremost education experts, competency-based education is already changing how we think about learning. Simply put, competency-based education measures learning rather than seat time. The traditional higher-education model, the format most of us are familiar with, does the opposite — measuring the time students are in class, usually in credit hours or semester hours. In a traditional school, you have to complete three credit hours for Accounting 101. In a competency-based university, you have to complete a series of assessments and learning benchmarks that prove your mastery of the material covered in Accounting 101. 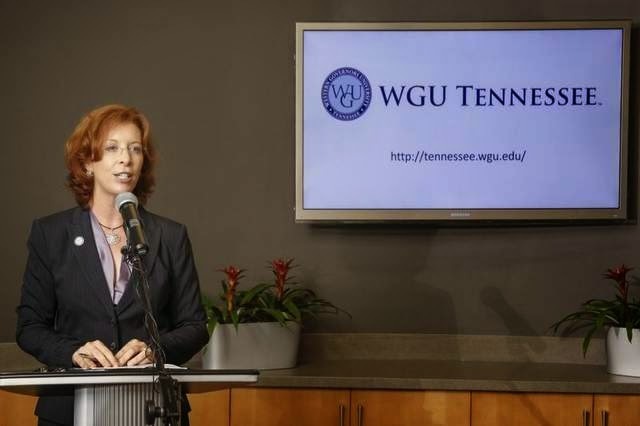 As chancellor of WGU Tennessee — the nonprofit, online, competency-based university launched in 2013 as part of Gov. Bill Haslam's Drive to 55 effort — I've worked diligently the past two years to articulate just what CBE means and its potential benefits for working Tennesseans who need to get an advanced degree to further their careers.